Pop-ups are great way to grab attention of your visitors, and they are proven to be much more effective in terms of capturing leads than static forms on your website. However, there is nothing more annoying than pop-ups when these are used in a wrong way. 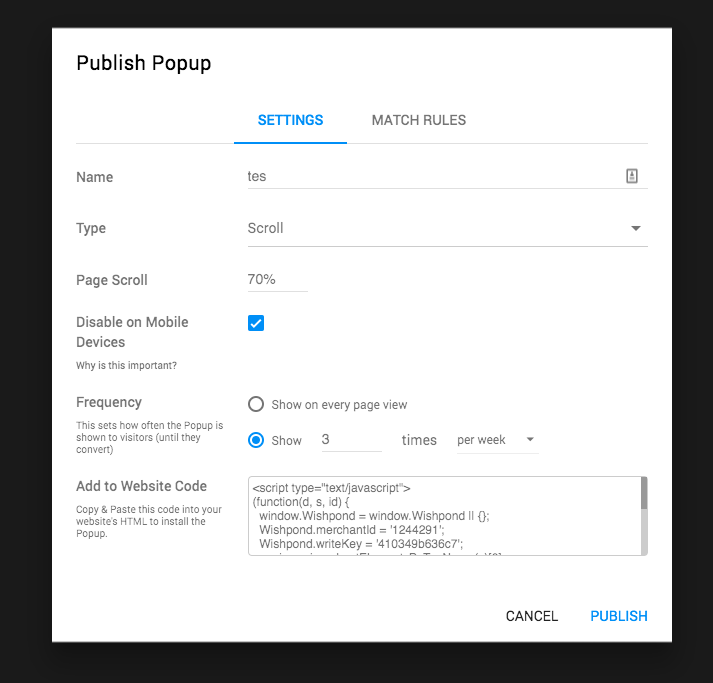 Here are five best practices for popups introduced by Wishpond's marketing team, which applies to all types of Wishpond pop-ups (slide-in pop-up, welcome mat, and regular pop-up). Click-Pop-Ups work by activating when a visitor to your website or landing page clicks on a designated link, image, or word. They’re the only pop-up that occurs because of an action. Because of this, they’re the least intrusive of all pop-ups. Place a banner at the bottom of blog articles, promoting a comprehensive ebook about the same subject as the article. 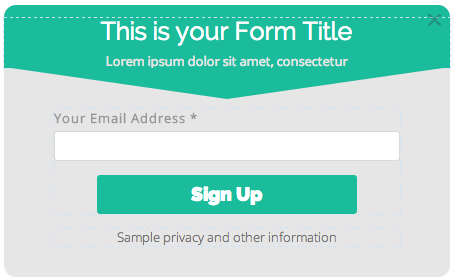 Make the banner eye-catching and the content title clear and obvious. Include a short blurb (sentence) illustrating the value of the ebook. Connect the click pop-up code to the banner image, so the pop-up will appear when the image is clicked on. Timed Pop-Ups work by appearing on a landing page or website after a visitor has remained there for a designated amount of time. Some providers allow you set it only at a few increments (10 seconds, 30 and 60, for instance). Others (like Wishpond, cough cough) allow you to test the time that works best for you, enabling you to see if 26 seconds works best, or 47, or 183. Timed Pop-Ups are, personally, not my favorite (I’ll tell you why below). If you do want to use them, I recommend you test your pop-up timing very carefully. Initially avoid going below 30 seconds on your blog pages, and don’t go above 60 on your product pages. The timing is a big deal, as you don’t want to shock your traffic with a pop up on your page too soon, but neither do you want to set your pop-up to show only after that traffic has left. Check your Google Analytics to see the average time your traffic is spending on the page you want to put a Timed Pop-Up, and set it for 10-20 seconds before that average. The reason for this is that I implement pop-ups primarily on blog articles. I need to know that my traffic is actually invested in my content before promoting a lead-generation strategy. And that’s where Scroll Pop-Ups work perfectly. They appear when a reader (or landing page visitor) has scrolled down a certain percentage of your page or article (and not before). This means that, when I set a Scroll Pop-Up to appear after 70% of a page has been scrolled (the amount I’ve found most success with), I can be reasonably sure that my visitor is actually interested in what they’re looking at. If I set a timed pop-up I may underestimate or overestimate a reader’s speed or visitor’s interest. You’ll notice that I’ve set this Scroll Pop-Up to appear on a page of my blog. I’ll flesh out the pop-up with an ebook promotion (to drive email subscribers) and place it only on pages relevant to that ebook’s content. I’ve set it to appear at 70% of the way down my blog’s page, meaning the reader is well into the article, but not quite finished. This means that if they aren’t into the ebook I’m promoting they’ll likely remain on the page to finish the content. I’ve also set it to appear 3 times per week per unique visitor, an amount I’ve tested heavily in the past and found works best for our readers. I recommend you do the same before going ahead. Entry pop-ups are one of the most underrated (perhaps because they’re one of the most dangerous) pop-ups available to online marketers like us. They appear as soon as a landing page or website has loaded, essentially blocking a visitor from seeing the page they wanted to see until they’ve engaged with it. This means that entry pop-ups appear before anybody has seen your page’s image, read its USP, or had the value of engagement communicated with them in any way. The thing is, entry pop-ups are actually awesome, if you use them right. Run an online-exclusive contest or promotion (50% off the first month’s subscription to your tool, for instance). Keep this exclusive contest close to your chest, promoting it less than you have in the past. When website traffic comes to your main page and travels through your tools, direct them towards your pricing page (as you would normally). Instead of allowing your website visitors to see your regular pricing page, implement an Entry Pop-Up that appears as soon as they arrive on the page. Have your Entry Pop-Up read something like “Limited time only! 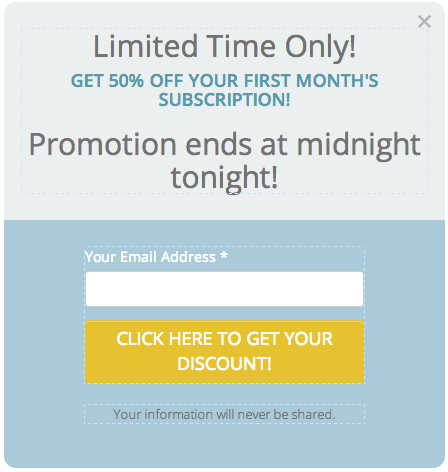 Get 50% off your first month’s subscription to [your tool]. Promotion ends midnight tonight!” with a “Click here to get your discount” button clear and bright on the bottom. Now I get that this sounds sales-y, and those of you more sedate, conscientious business owners and managers may be a bit skeptical of this tactic. I get it, I was in the same boat as you only a couple weeks ago. But (as I said above), pop-ups work, and once you get over that squeamishness and the leads and sales start rolling in you’ll be fine. he most common type of pop-up, exit pop-ups use “exit tracking” software to calculate when a visitor to your landing page or blog is planning on bouncing. Exit Pop-Ups utilize mouse-tracking (yes we’re getting a bit advanced here, friends) to measure cursor directionality and velocity, measuring (with impressive accuracy) when your traffic is about to close the tab, open another one or hit the “back” button on their browser. An Exit Pop-Up appears just as your visitor is about to bounce, encouraging them to convert on (perhaps) a CTA button they missed or an offer they didn’t know about. Consider that when your blog readers are absorbing your valuable content they’re focused solely on that task. They’re not, for instance, looking around the rest of your page, checking for links to your ebooks, other articles, or a product demo. They’re reading, not buying. That doesn’t mean they don’t want to convert or aren’t interested in subscribing to your top tips, tricks, and exclusive offers. It simply means they were focused on something else when you were giving them the option. Exit Pop-Ups ensure they’re paying attention. Place your Exit Pop-Up on your product landing pages and lead-generation pages, as well as blog. Have different pop-ups for each page: offer a free demo for your product pages, an “Are you sure? pop-up for your lead generation pages and an ebook promotional pop-up for your blog site. Ensure you’re not spamming your readers or visitors with an exit pop-up every time they visit your site. Test your pop-ups appearing a maximum of three times per week. Ensure you’re not spamming existing leads or clients with your pop-ups, as nothing causes an unsubscribe faster. 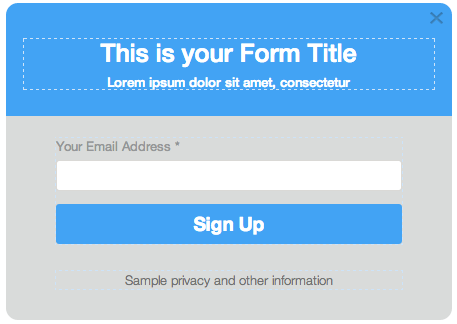 If you need some inspiration, check out these examples to see how to create a good exit popup. The crux of this entire exercise is that you need to test your pop-ups. Few pop-up providers allow you to A/B test your business’ pop-ups right off the bat, so shop around for the one that suits you best.